As more businesses take advantage of remote workers, and the use of mobile devices grows, businesses seek solutions that provide an equivalent level of protection for remote and mobile workers as can be achieved within an organization’s facilities. SonicWall’s answer is the Secure Mobile Access (SMA) solution which allows security policy enforcement for mobile and remote workers. 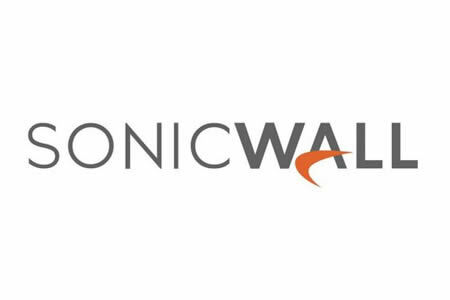 This week, SonicWall announced it has launched an updated version of its Secure Mobile Access 1000 Series OS. Version 12.0 includes several enhancements to improve security for remote and mobile users, regardless of the data types accessed or devices used to connect to cloud and on-premise resources. The solution offers enforced SSL VPN to essential applications, data and resources regardless of device type or operating system, with access granted only to trusted users with access rights determined by the health metrics of the connecting device and its location. The solution allows up to 20,000 connections per appliance and large enterprises can combined appliances to provide hundreds of thousands of simultaneous connections. The latest enhancements to the SMA includes enhancements to its browser-based clientless access to make the solution much easier to use by remote workers. New Rules-based access controls to reduce surface threats to a minimum, including cipher enhancements to the advanced suite B algorithms in line with NSA recommendations. SonicWall has used blended SSO technology to help organizations move to the cloud, using a single interface to access SaaS applications and campus resources. This allows businesses to move over to the cloud without causing disruption to end users who are provided with a familiar access environment. SonicWall has also introduced Global High Availability which incorporates the firms patent-pending Global Traffic Optimizer technology for better traffic load balancing and zero-impact failover ensuring high resiliency across all data centers without downtime or aggressive SLAs. The solution now allows real-time monitoring of environment performance and user sessions and delivers active/active configuration ensuring high availability. SMA customers with a current support contract in place can now upgrade to the SonicWall SMA 1000 Series OS 12.0 free of charge.